Amethyst Bud is a blend of Lavender Bud and Afghani Hawaiian so the dark purple color of the purple part of Kush comes through genetics. Amnesia Haze is a very complicated genetic cross. You have the magnificent Southeast Asian genetics (Thai sticks, Cambodian, Laotian) of which were my all time favorites. 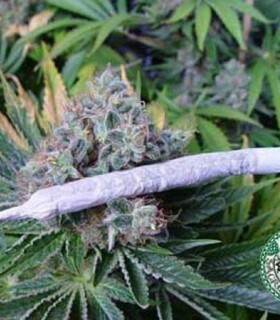 Then you have the fine Jamaican Haze varieties with their high THC percentage and sharp flavor. Big Kahuna is the result of a quad-band cross, a broad influence of different high-level genetics. This variety was formerly known as Soma 9, but it changed its name to Big Kahuna, a Hawaiian word meaning "The Keeper of the Secret". Previously called Soma Skunk V+, this variety was renamed Buddha's sister to suit her tendencies and advance her appeal to Amsterdam coffeeshops. What's in a name? Directly after this deliciously good weed acquired a more intriguing name, she regularly sold out at the coffeeshops, and remains one of the best selling weeds available at De Dampkring. My next new strain is called Hash Heaven, and is a cross of Hash Plant-13 with G-13 Haze. This plant makes exceptional water hash. It comes out with an orange color and melts into vapor. You most definitely need a high ceiling in your grow space for this one as it can get quite tall. One of Soma's favourite varieties, Kahuna is a 4-way crossover that brings together a wide range of highly complex influences. Soma recently renamed his Soma #9 Kahuna strain, which is a Hawaiian title for a religious or spiritual leader, which literally means "Keeper of Secrets. It is a small/medium sized, hardy, broad-leaved plant. 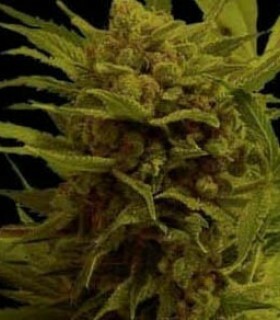 It produces long, compact buds full of resin of a quality that compensates for the somewhat long flowering of the various phenotypes of this variety. Soma A+ may become the pet of the class. Short to medium in height, this mostly indica strain displays the bushy structure and dense buds of its Afghani heritage. She is a good sea of green plant since height and branching are easy to manage. It is a medium/large plant with a strong structure and medium sized leaves. It grows with great vigor and produces tight, compact and resinous buds for the demanding grower due to its exceptional organoleptic properties. Soma Salad de Soma Seeds is an assortment of 5 regular seeds of different varieties that give rise to plants with different aromas, flavours and effects. Somango blends the multiple hybrid Jack Herer with Big Skunk Korean to form the fruitiest of all Soma's strains. Previously known by Soma #5, this complex cross was renamed for its tropical mango aroma and flavor. Somango is optimal as a multiple branch plant, since its genetics encourage long side branches and a height on the taller side. 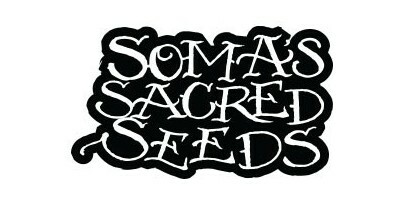 Somantra de Soma Seeds is a feminized marijuana seed that has its origin in the union of a Kushadelic and a Sogouda. It is a medium to large sized plant, with a solid structure and long, thin leaves that produces numerous compact and resinous buds. Somatize a mixture of genetics from all over the world. In 1994, the SENSI SEEDS Jack Herer variety won first prize in the Cannabis Cup. These seeds were first mixed with large Korean skunks and then with a special super skunk. The result is a thin marijuana plant with wire leaves and 10 weeks to flower. White Willow is a very strong plant, the result of the crossing of White Widow and Afghani-Hawaiian.